Equine Cushing’s Disease is remarked as the most common endocrine condition in the horse, correctly known as Pituitary Pars Intermedia Dysfunction (PPID), estimated to develop in 20 to 33% of horses around the age of 20. A condition linked to several other health related illnesses, PPID can be challenging when deciding on a suitable feed. We will start with the basics, what is PPID? PPID is the result of abnormal benign growth of a specific region of the pituitary gland called the pars intermedia. Normal function of the pituitary gland is to produce hormones for the maintenance of homeostasis, (balance) within the body. This abnormal growth occurs secondary to the degeneration of the hypothalamus, a region of the brain linked to the endocrine and nervous system, influencing thirst, hungry, sleep and mood. PPID results in the production of excessive hormones from the pituitary gland, specifically adrenocorticotropin hormone (ACTH). Which is responsible for several important functions of the body including cortisol levels (stress hormone). Cortisol is responsible for helping to maintain blood sugar, the generation of energy, detoxification and the immune system. Excessive cortisol levels may result in muscle wastage, susceptibility to infections and can contribute to insulin resistance and laminitis. Further diagnosis is often established after some of the above clinical signs have be observed. In advanced cases of PPID, identification of elevated ACTH in circulation can be identified. However, the best practice is the use of a TRH test. It is important to note that there are influencing factors to the effectiveness of this diagnostic test, including; time of day, year, season, exercise, stress or if they have been fed or fasted prior to the test. How can feeding management affect PPID? Do we want the horse to gain or lose weight? Are they predisposed to insulin resistance or laminitis? 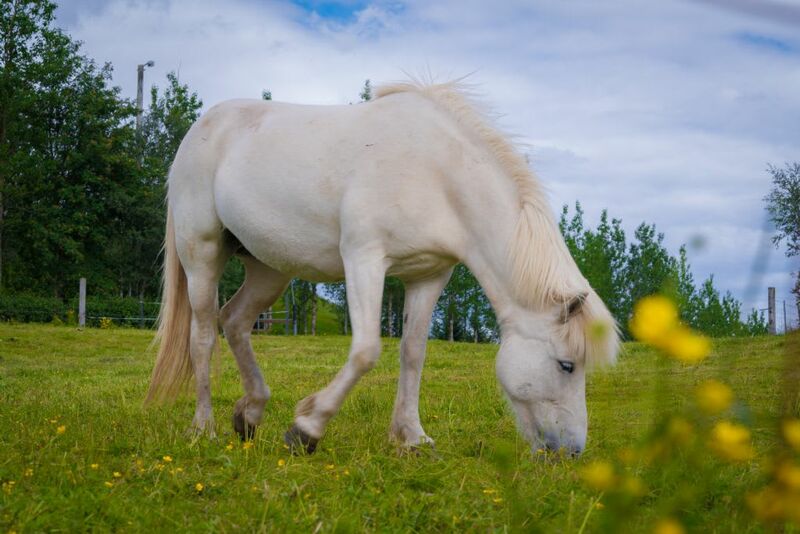 Always start with a forage-based diet and introduce additional supplementation as required to suit the needs to that specific horse. It is suggested that feeds containing 3% molasses and 15-20% non-structural carbohydrates should be avoided for those with insulin resistance. A high fibre >10% and high fat >5% is desirable compared to a “sweet feed”. When sourcing a feed suitable for PPID horses, low starch, low sugar and high fibre are the key elements to look out for. Bluegrass Re-Leve has been formulated with these horses in mind, as a low glycaemic and low starch feed, the addition of alfalfa promotes gastrointestinal health, whilst the inclusion of oils and digestible fibres helps to maintain and encourage weight gain. For those horses that require to lose weight, Bluegrass Stamm 30 balancer will not promote weight gain and is a source of high-quality vitamins, minerals and proteins. Seasonal variation of grass will result in a natural increase in non-structural carbohydrates at certain times of the year. Studies have shown a seasonal variation of ACTH levels increasing specifically around September. It is important to keep this in mind if PPID horses are living out year round. Management of PPID can be confusing at times, however recent advances in diagnostic testing and medical treatment are resulting in early diagnosis. Nutritional management is a key element but can be difficult due to the secondary health issues often associated with PPID.